Planning an incredible golf trip to Portugal and you need to make sure that it is an awesome holiday? There are a number of things that you will need to take into perspective. You will first of all have to think in terms of the amount of fun you intend to have in Portugal and then from there you can work your way through the modalities and get everything in order. By following these simple rules, you will not only get your holiday to Portugal planned to perfection, you will also have an easier time following the same for your golf trips in the future, or in any other country of your choice. The first rule of planning any trip is always to focus on your budget. It does not matter whether you are going to Portugal or if you are going for a golf holiday or any other kind of holiday. You must have a budget to work with, and you must stick to it. The importance of a budget is to keep you in check, your spending under control and to help you get the best experience from within your range. While there are a lot of travel agents with a wealth of information, it is always a good idea to make sure that you use local travel agents. Local travel agents are preferable because of their innate knowledge of the region. They know from firsthand experience all the good places that you can visit, all the fun activities for you, and most importantly, they can even advice you on how to get the most out of your visit. The duration of your visit should determine the number of courses or the particular courses that you will visit. If for example you are coming to Portugal for 4 days or less, it would be useful to choose courses that are closer to one another. This way you can minimize unnecessary movement between one part of the country to the other. However, if you have more time on your hands, there is nothing wrong with exploring the best that Portugal has to offer. While a lot of players often leave their reviews on golf courses about their experience from all over the world, you have to realize that most of the reviews from international visitors normally are biased. To get a good perspective, go through reviews from local players. They have had a chance of playing on some of these courses longer and more frequently than the visitors, so their reviews should be more relevant for you. You do not necessarily need to get yourself through the trouble of moving around with your clubs from time to time. If you can afford it, ease the burden and hire a caddy to help with this. 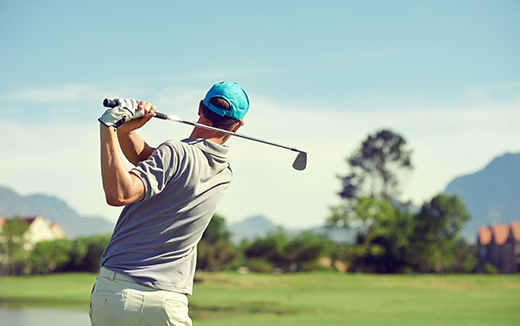 A lot of golf resorts do not necessarily have caddies on their payroll, so you might need to organize and find some on your own if they are not available from your resort. There are some useful tips that travelers have used in the past to help them get none but the best experience of golf in Portugal. Since there are so many rules, we will narrow down on 5 of the most important and you can use them to plan your trip.